It's been awhile since I've really spent time working in CSS, but I've recently had to build a template at work. It's taken a bit to get back in the swing of things, but I've learned a lot of cool new tricks. Well, at least new since the last time I did all this. 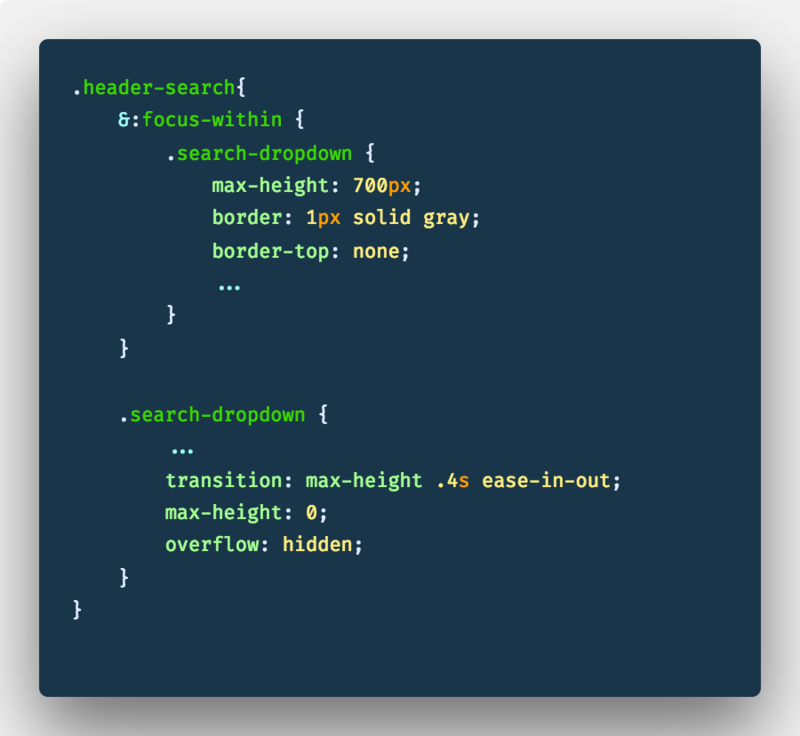 The one I want to highlight in this blog post, however, is the CSS pseudo-class :focus-within. :focus-within is similar to the pseudo-class :focus in that it applies certain styles to your site when an element has focus. The difference is that :focus only applies to a single element. When that single element has been focused, the styles are applied. With :focus-within, however, can be placed on a parent element and when any child element, or the parent element itself, is focused the styles will be applied. There are lots of ways to achieve this desired output, and there are lots of applications. But I was surprised at how easy this was and how quickly I was able to implement it. I definitely recommend it to anyone that is looking for similar functionality. It's only available in Chrome, Firefox, and Safari at this point, but if you can get away with that it's perfect.